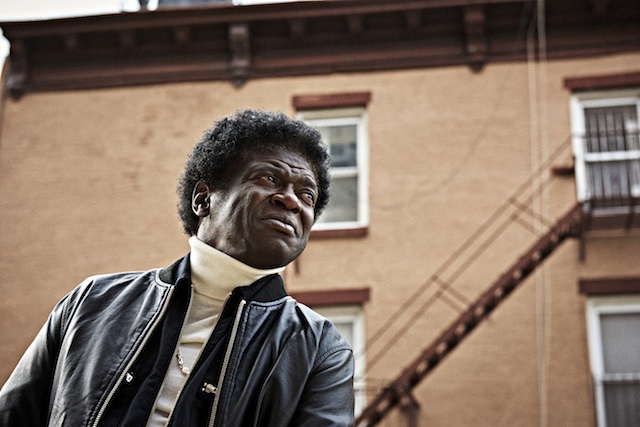 Daptone Records’ Charles Bradley may be one of the most visceral performers touring today. At age 67, he wears his heart on his sleeve, and his life story is written in the wrinkles of his face—but he’s no old man. The former James Brown impersonator struts on stage in a homemade, sparkly appliqued suit, lets out a howling scream fit for the Godfather of Soul, and drops to his knees. 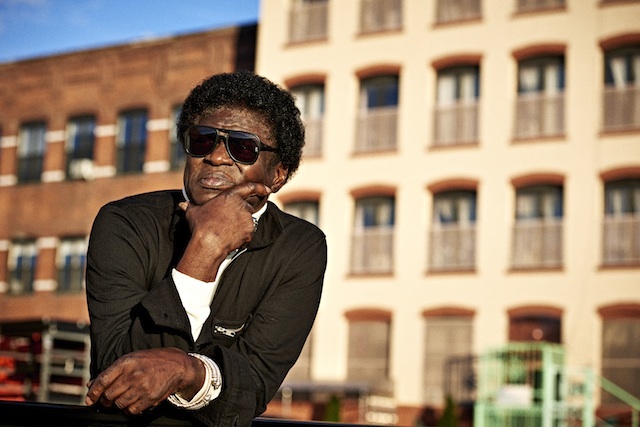 Alongside backing band The Extraordinares, Charles Bradley has been touring relentlessly for several years, after, rather remarkably, releasing a debut album at age 62. His third album,Changes, which came out April 1, brings that same stage energy to a menagerie of hard-hitting funk and sorrowful soul songs about love, loss and change. The album is equal parts joy and pain, highlighted by a gut-wrenching spin on Black Sabbath’s “Changes,” where simple, pleading lyrics tell the story of a righteous man coming to terms with an often unjust world. Yet the album is also a love letter to a country that’s falling apart at its seams. In the opening gospel-tinged track, “God Bless America,” Charles declares that his country has been “real, honest, hurt and sweet” but still “represents love from all humanity and the world.” Opening with that signature scream, “Good To Be Back Home” is a psychedelic funk ode to America’s entrancing powers of love and goodness, while “Change for the World” implores listeners to tackle racism and violence by opening their hearts. Bradley’s belief in the goodness of people and the triumph of love over hate allows him to maintain a positive world view, despite spending much of his life on and off the street, where he watched his brother die in gunfire, and felt the pain of his mother’s death. Speaking over Skype from his hotel at the start of a multi-country European tour, Charles unloaded part of his story—as he has done in many interviews before—but, like his intimate songs, it felt like he was sharing his story only with me. Charles Bradley: America now is built with all nationalities and all cultures from all parts of the world. America is more the center of all races, and we all got to come together to understand one another. With that love and understanding, we can spread that out. The beginning of Changes celebrates a country that many people think is falling apart. What do you think about the presidential race, politics and racism? It’s scary. It’s very scary. I came from an era that’s seen all these things, and I’m watching all those things today. Mankind is forgetting the quality of who they are, human, and it’s kind of scary that we’re fighting for leadership. If you’re going to be a leader, be a positive leader. Change the world to a better place that we’re all looking for. Is that something you hope to accomplish with your music? I really do. I’m in this room for love and understanding—and knowledge that we all cause friction. We got to learn to live on this planet; if we don’t we’re going to destroy this planet. Since I’ve been on tour, since I’ve been out here doing it, what I’ve been hearing from peoples is “Charles, we needed you a long time ago.” You come out with truth and your hope and your heart, and that’s what the world needs today. You’ve gone through a lot in recent years, and your mother passing has been a major point of conversation around Changes. How has your life changed in the past year or so? My life is just truly bittersweet. I’m still going through my emotional changes deep inside of me. I don’t wanna get too deep into it, but I’m hoping this album can help me with my life. I hope I can just keep going. Sometimes I want to just run and hide and fade away from the world, but… I think the world wants me, so I’ll just find a way to open my heart and keep going forward. I read an article that questioned whether we need “new soul music” and said that soul must choose to be political or go the pre-Civil Rights route and be happy and sweet. What do you think about that? I think soul music needs to go back to its roots because a lot of soul singers today, it’s all about who they was with, my love this and that. It’s time to come back to the real nitty gritty and bring the soul outta you. That’s what the music’s all about, to change the world for a better place where people want to listen to what you’ve said. I want to hear something that’s going to give me morals and make me listen to it over and over again. So many of your songs are about love, and your shows can get pretty steamy—you took your pants off at the Hardly Strictly Bluegrass festival in San Francisco. [Laughing] Ohhhh my gosh! I never did that again, I promise. Somebody pushed that and told me to do that. When I did that I said, “God, why in the heck did I do that?” You can’t listen to everybody, you gotta listen to your own inner spirit! That wasn’t being classy. I didn’t think so! I saw it as you letting loose and having a good time. But have you found love? No, my love is music. I’ve been there one time, and it took me ten years to get it out of my system, and I says, “God no more, no more.” But I’ve got to say, it’ll be a strong person who can move that mountain out of my heart again. Because I do have the love inside me to give, but if I stumble this time I don’t think I’m gonna get back up, so I’m kind of real afraid of it. I imagine you’ve been getting a lot of that love from your audience. Sometimes when I go into the audience and I hug some peoples out there, Jessica, I feel the hurt, the love. Some peoples out there never got a chance to really express themselves and, boy, sometimes they say things to me. One time I was out there, I walked up to a lady who was about six months pregnant and she said, “Charles could you please bless my baby? I just love what you sing to everybody.” And I blessed her baby—I got on my knees, touched her tummy and said, “Lord, may this be a leader, not no follower, let it be a leader”—and it was about a year and a half later, she sent me a picture and a letter and said “Charles, I named my baby Charles Bradley.” And that’s what gets me to walk a narrow and straight pathway, because of the love that I get from the people, what they say to me. And I have to be careful what I’m doing. I want to be a good singer; I want to help people with their life. How have you worked to make yourself better and keep on that narrow path? Mostly, honestly, I stay alone a lot. I stay to myself and watch the world, watch the traces on people’s faces. Jesus walk alone so I’m gonna walk alone. When I come on stage, if I can’t come out and give you my best and the love that I wanna give you, I’m gonna stop singing. Because I don’t want to mess with people’s minds. I get joy when I see you happy and I can give you the truth, and you can look at your own spirit and find out how you can correct yourself. Is there a song that speaks your truth the most? I like “Changes;” that song is very emotional to me. I didn’t want to learn that song, I used to sing it lyric by lyric. But when I listened to the whole song, the story of the song it made me think about talking with my mother, bonding. I’d come home from tour… and I’m the only one out of her boys that she’d let come in and jump in the bed with her, and we’d sit there and talk. She’d tell me a lot of things about her. The last 12 years of her life, she actually told me things that got me stronger. She told me “I was trying to tell it to all y’all kids, but y’all didn’t listen to me.” I’m glad I took the open heart and said let bygones be bygones and let’s get to know each other. Were you not close with your mother growing up? I was always close, but I was always a follower—following my brothers and sisters. When they got mad, I got mad at her, but she did things she had to do. I didn’t know why she was locking the food up, why she put us in the basement. I thought she was the meanest lady on the earth, but as I went on in life myself, I saw why she had to do things. You’re thinking about her in the video for “Changes.” Watching the close-up of your face for a few minutes feels like staring into your soul. Yes, yes. That’s why, when she passed, I had a sold out concert at the Bowery Ballroom in Manhattan, and I did not want to do that show. [Collaborator and Dunham Records founder] Tom Brenneck said, “Charles you don’t have to do the show.” Then I looked to my mom and she said “Charles, this is your dream, go do that show.’ And I called Tommy back and says I’ll do the show. And boy, was that one of the biggest shows, the most heartbreaking show. Is there an artist—aside from James Brown—who gives you inspiration? Oh, I love Bobby Womack! He just passed away, too – all my favorite singers is leaving. I like Cat Stevens, his old Cat Stevens. One of my favorite songs is Barbara Streisand, “Memories.” Oh my God, when I hear that song! Another song I like is “Take It To The Limit” by The Eagles—that song honestly saved my life. I was in a pizza restaurant. I was going through some changes with the state trooper, and they… took my dignity away from me, and I couldn’t take it no more. I was sitting in this pizza restaurant thinking about how I could just end this thing once and for all, and this guy came in and put a quarter in the jukebox, and it was “Take It To The Limit.” I jump up, broke out crying, and running out that door in the pizza restaurant—and it was like God had blown the spirit into that song and said, “Charles, take it to the limit one more time.” I definitely want to cover that song; I want to do it in a soulful, harsh way. Do you have any hopes, dreams or wishes? Any personal goals? I see I’m 67 years old and hope one day that I can have a beautiful home. Something where I can say I worked hard for this and can grow old gracefully and hope the world accepts me and lets me rest in peace. It would be someplace by the ocean, some place where I can hear the crush of the ocean every day—there would be country scenery, though. And I’d sit there and go over my remedies and grow old gracefully. Do you believe there’s a soul revolution coming? If there’s not, the revolution needs to come back. Because today’s music ain’t got the same soul. Anybody can tell you that. I want to give a prayer to Ms. Sharon Jones because she’s going through her changes. She love the world so much, no one can see the pain she’s given. That’s the thing about an artist, a true artist… that they hide their pain and still give the love through their soul.